It’s that time of the year again…to donate blood. The month-long County Blood Drive kicks off April 3. All employees are encouraged to donate blood and, if they qualify, to register to be a bone marrow donor at Be The Match. Donating blood and bone marrow is safe, costs nothing and could save a life. Bloodmobiles will be at 19 sites across the county throughout April. You can make an appointment, or just walk in. 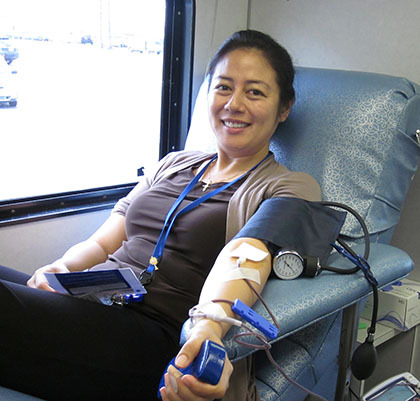 Employees can use County time to donate blood, with approval from their supervisor. The County is also encouraging employees to register to be bone marrow donors. Registering for Be the Match is easy and pain free. All you have to do is swab the inside of your cheek and you can do it at one of the 19 blood donation sites.